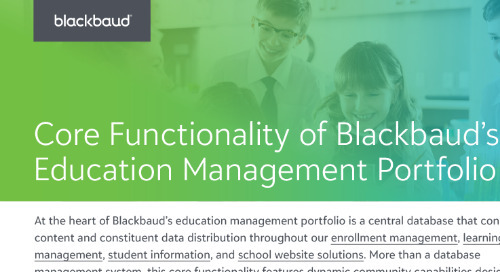 At Blackbaud K–12, we understand the critical role that a common application plays in making the independent school application process as easy as possible. 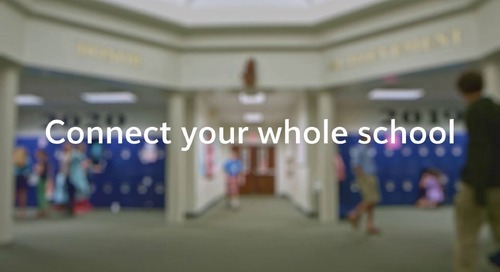 Whether schools choose to use our Blackbaud Enrollment Management System™ (formerly onBoard®) application in conjunction with a common application or solely use a common application, our goal is to efficiently funnel all applicant data into our enrollment management system so that schools can benefit from a single candidate management solution. 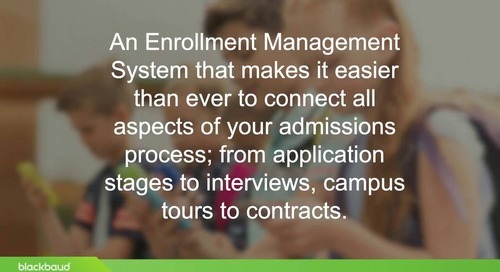 This is why we’ve teamed up with The Enrollment Management Association to provide a Standard Application Online (SAO) integration. Please keep reading to learn how the integration works, as well as the wonderful new updates that are turning this integration into the best possible application experience. Let’s start with the basics of setting up the SAO integration for anyone who is unfamiliar with the process. 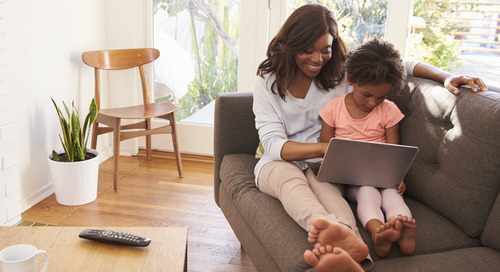 Set up is quick and easy—all you have to do is enter your SAO credentials into Core > Settings > Integration Settings. Once your credentials have been entered, choose a start date for when the integration will begin pulling applications. If you’ve already started accepting applications for the next admission season, set the date back to the beginning of your entering year and collect applications from that point forward—there’s no need to manually update Blackbaud Enrollment Management System with users who applied before you turned on the integration! The next step is to complete the data mapping to pull candidate information into the appropriate fields when the candidate record is created. These settings are found under Enrollment Management > Admissions > Admissions setup > SAO settings, as well as in the candidate profile settings. That’s all there is to getting the integration up and running. Now is the fun part! SAO applications will transfer over on an hourly basis and display in the processing center just like a regular onBoard application. 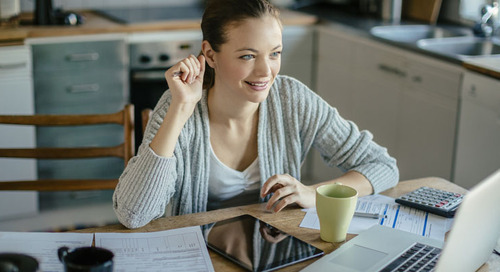 We’ll create a candidate record that contains the information within the application and you can treat them like a regular candidate from that point forward. Prior to this summer’s release, you could only access documentation like teacher recommendations from a live pull of data when printing the application—this was helpful, but it required schools to download the .pdfs, upload them in the correct spots on the candidate record, and mark the checklist item as complete. You can still view the items in this manner; however, we’ve made it a lot easier to get the .pdfs where they need to go. We’re now accepting transcripts, test scores, and teacher recommendations via the integration; every hour we pull any new files that have been submitted and display them in the file processing center—exactly where you would expect to find them! You also have the option to mark the associated checklist step as complete and preview the file prior to processing to guarantee that the file is what you’ve requested. Finally, upon processing the file, we’ll create an entry in the candidate record and provide a link that allows you to see the file at any time. As you can probably guess, we’re super excited to be offering the newly updated integration as we believe it will be a huge time-saver for admissions managers. The days of having to manually upload files, create records, and have two windows open are over! Now, managing candidates who have filled out a Standard Application Online will look and feel just like those who applied via onBoard. Your school also wins by being able to offer both options! 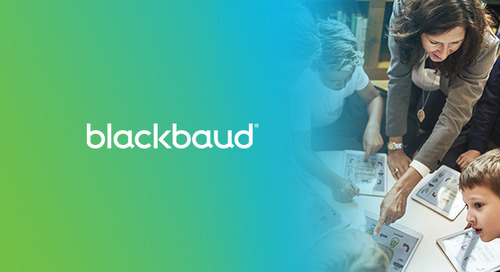 The product manager for Blackbaud Enrollment Management System and Blackbaud Learning Management System, Sarah has been a member of the Blackbaud K-12 team for five years, serving a variety of roles in support, services, and product development. She lives in New Hampshire with her husband, three beautiful children, and three crazy cats.